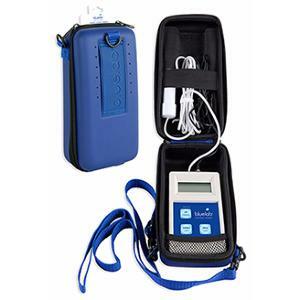 The Bluelab Carry Case provides a custom fit so you can use and read your Bluelab Meter right from the carry case. A firm outer casing offers impact resistance for your Meter. There are two pockets in the top of the case specially made for the probes. A removable and adjustable shoulder strap provides even more comfort and convenience. Place over your shoulder, hold onto the carry case and place the probes into the nutrient tank. In-between use, we recommend placing dry probes into the pockets. Simply zip up the Carry Case then tuck it away safely for storage or transport.